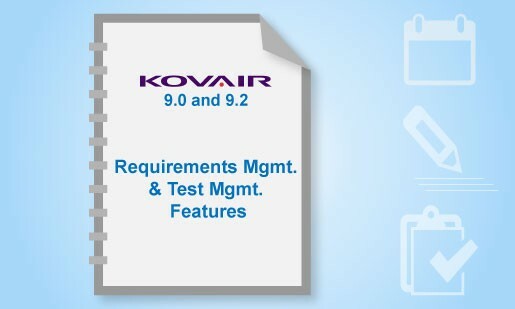 A first look into the latest features and updates introduced in Kovair ALM Studio 9.0 and 9.2 — the last two version upgrades made in the areas related to Requirements and Test Management. The new enhancements and addition of new features have improved the overall user experience and performance. Users of previous versions will need to upgrade fire to avail the latest enhancements and the features of 9.0 and 9.2.